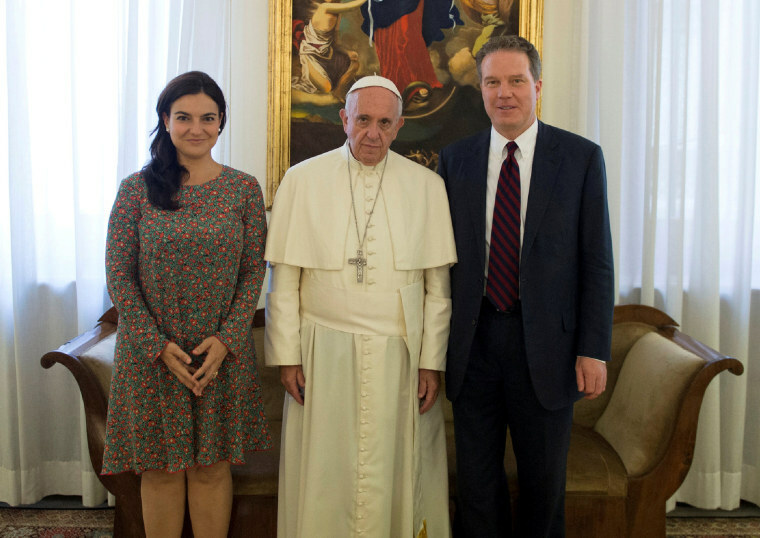 "At this time of transition in Vatican communications, we think it's best the Holy Father is completely free to assemble a new team," Greg Burke wrote about his resignation. VATICAN CITY — The Vatican spokesman, Greg Burke, and his deputy resigned suddenly Monday amid an overhaul of the Vatican's communications operations that coincides with a troubled period in Pope Francis' papacy. "At this time of transition in Vatican communications, we think it's best the Holy Father is completely free to assemble a new team," Burke wrote. He and Garcia both thanked the pope. "A stage is ending. Thank you for these two and a half years," Garcia tweeted. "The year ahead is full of important appointments that will require maximum communications efforts," Ruffini said in a statement.